I just finished watching “Star Trek IV: The Voyage Home” (1986), about saving the humpback whales. It is the least science-fiction-y of the Star Trek series, but since I had just seen the whales in person, I was happy to watch it again. The above photo is the most dramatic and unusual, since most people generally only see a sliver of a whale’s back or the spouts of steam when they surface. 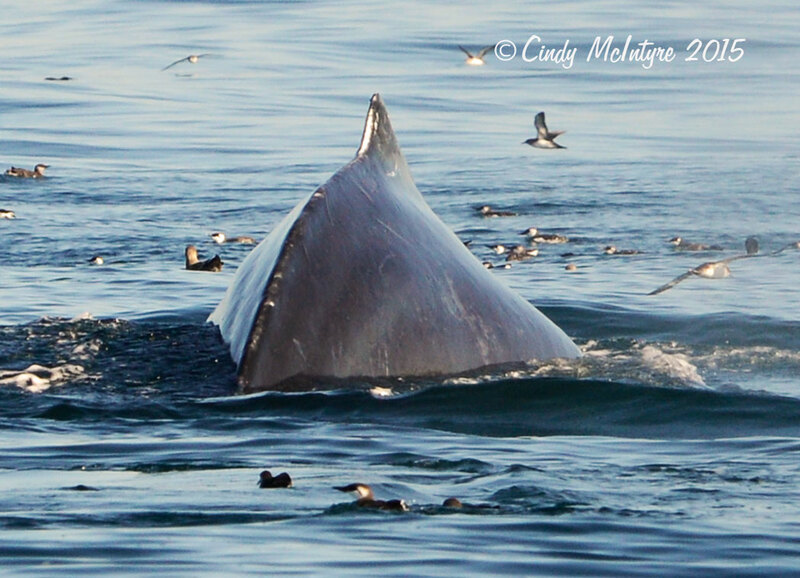 The tail (flukes) is the most iconic part of the whale, but to see them surface for a harvest of anchovies they had herded into a gulp-able group is an amazing experience. There were about three whales in this small group, swimming in circles and blowing bubbles to frighten the fish into a compact ball. Then they ascended together to scoop the fish in their huge maws. I still can’t figure where the eye is supposed to be. I think it’s underwater anyway. I saw a video at the Monterey Bay Aquarium that showed about a dozen humpbacks doing the same thing, all popping up in unison in a circle, mouths agape. If I could have seen that my jaw would still be dragging on the floor. You can see why “humpback” is an appropriate name. 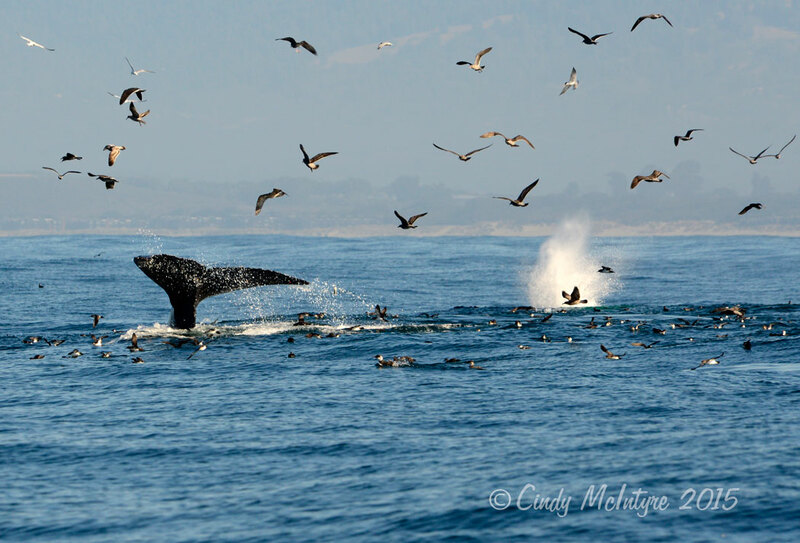 When my mother and I were on a cliff above the rocks near the Julia Pfeiffer Burns State Park in late August, we saw about six of these whales feeding very close to shore. 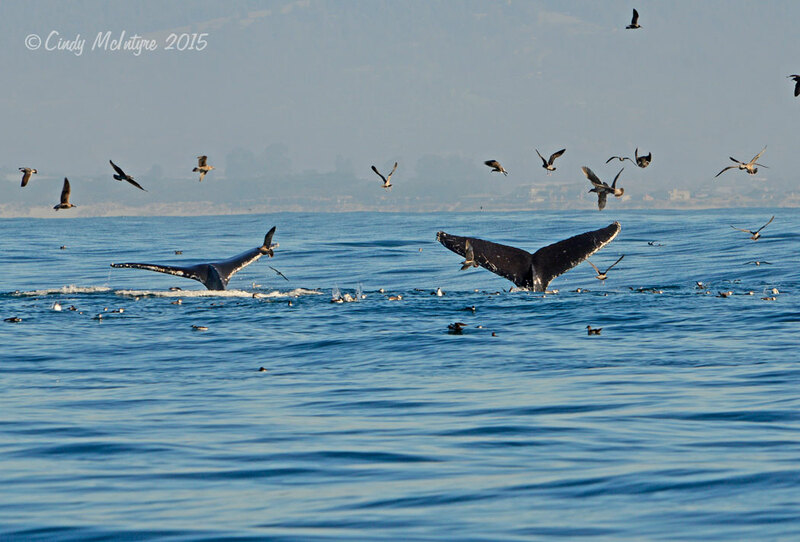 I went on this tour with Monterey Bay Whale Watch. It was on a small, compact boat and I don’t know if that made for a rougher ride or not. I know I get seasick just thinking about being seasick, so I’m glad I took the recommended 2 tablets of Bonine before we left on that foggy morning. The sea was terribly rough due to two opposing currents but once we were far enough out and the fog lifted, the ride was much calmer. 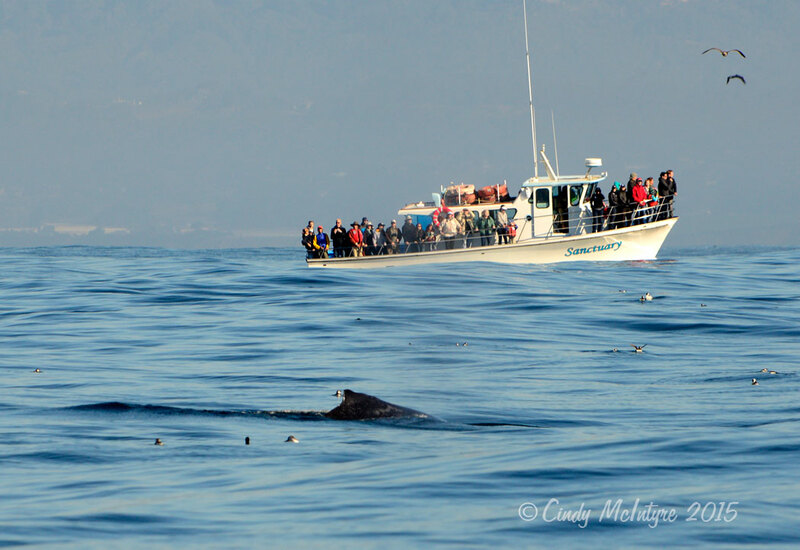 There were several other whale watch groups out, some of which seemed to get closer to the whales than they should. Sometimes, though, I think they didn’t know how close they were until the whale surfaced. Our boat wasn’t as crowded as the one above, thankfully. Just can’t get enough of those flukes! 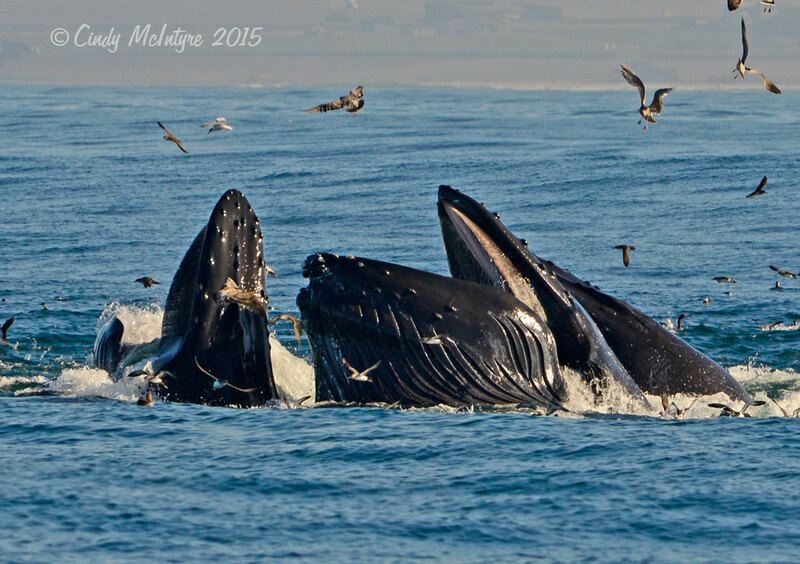 These whales were stuffing themselves with little fishes which will fit through their baleens (I liken them to harp strings but they are really close-set plates that strain the sea water for their small prey of krill, plankton, and anchovies.) I saw a photograph online of one humpback that had caught a pelican which dove inside its mouth to steal some fish. Fortunately the pelican wouldn’t fit through the baleen and was able to escape. 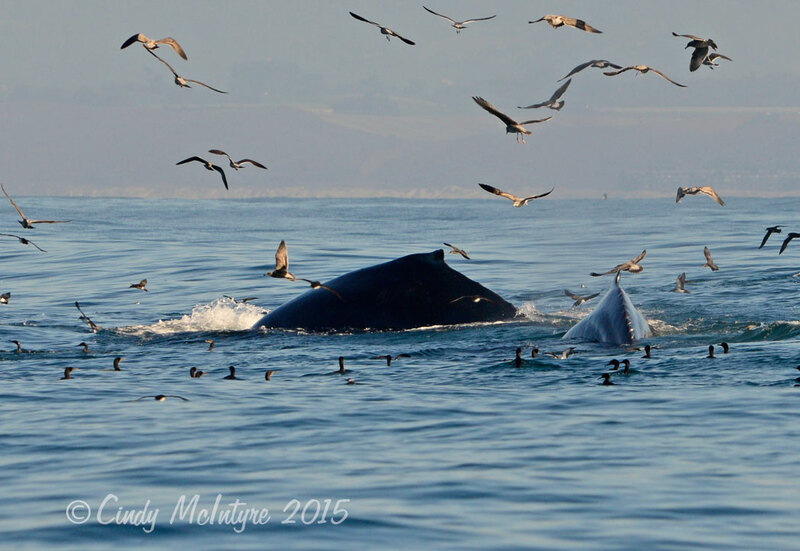 You’ll notice the huge flocks of birds where the whales feed. 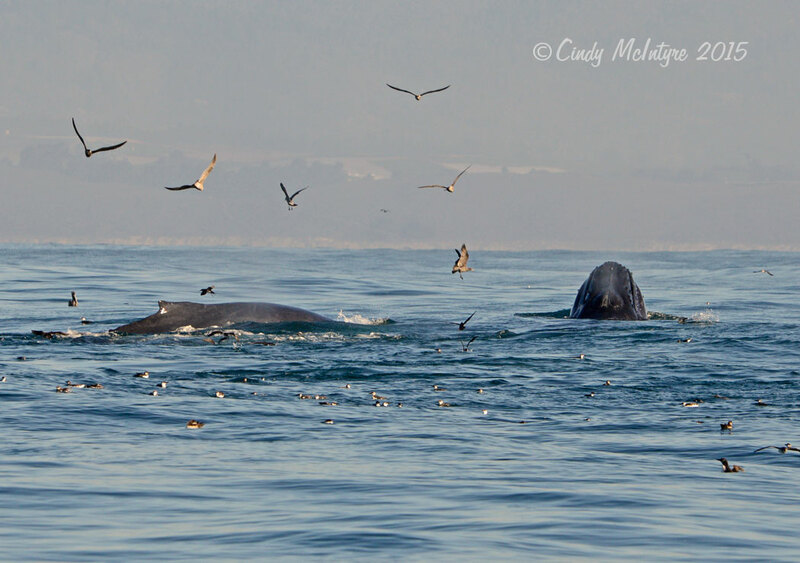 I think the behavior of the whale to the right is called “spyhopping.” I guess they like to people-watch. 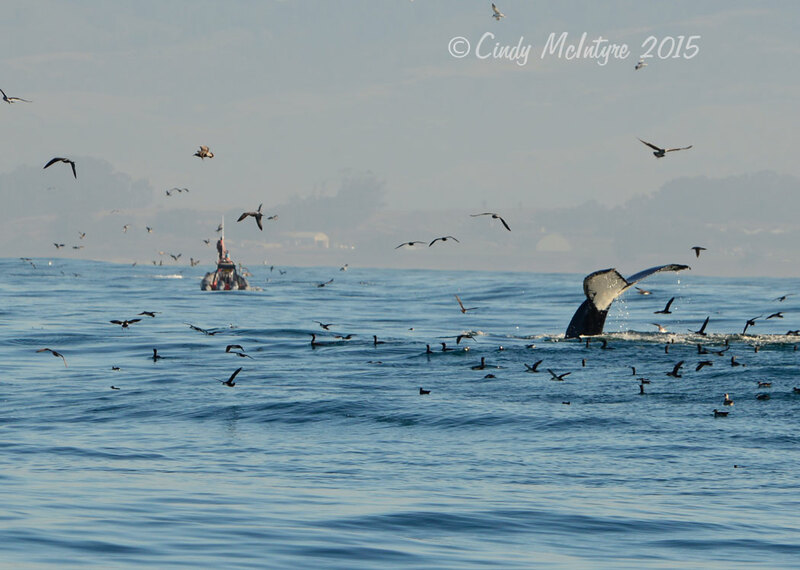 Even though we didn’t see a whale breach (with its body completely out of the water) it was still the most exciting whale encounter I’ve ever had. God bless the whales. 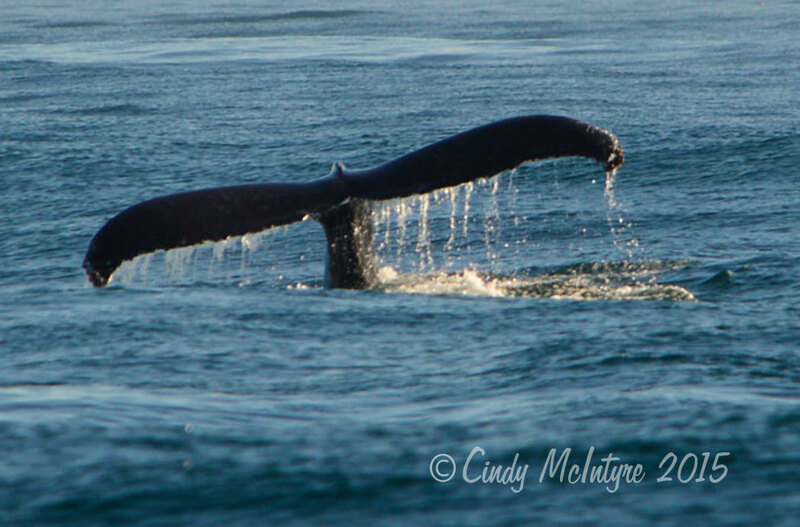 Many of the humpbacks have white under their tails. Closeup of a front view of the hump. 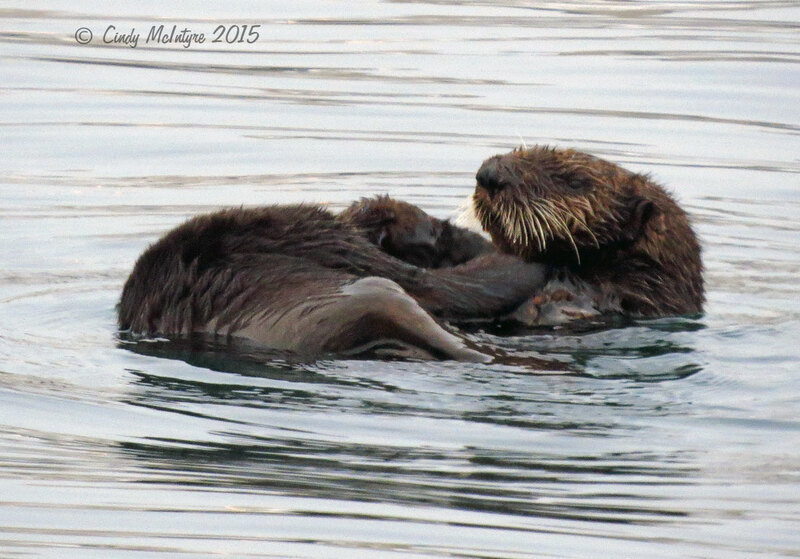 We saw a sea otter frolicking near Fisherman’s Wharf before we set sail. Both the sea otter and the whales were on the verge of extinction before laws were passed to protect them. Sea otters spend hours grooming their fur so they remain warm and buoyant. Well, that’s it for the whales. 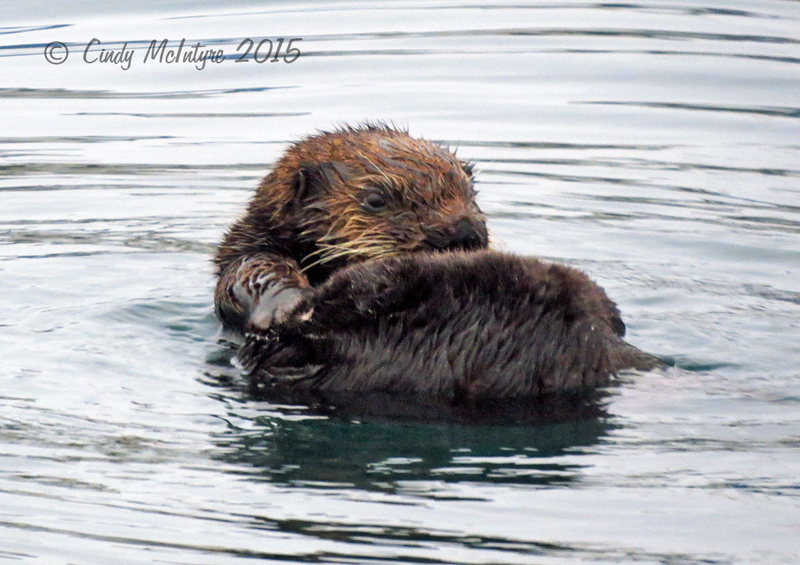 I’ll have a whole mess of otter photos and videos from Moss Landing coming soon. 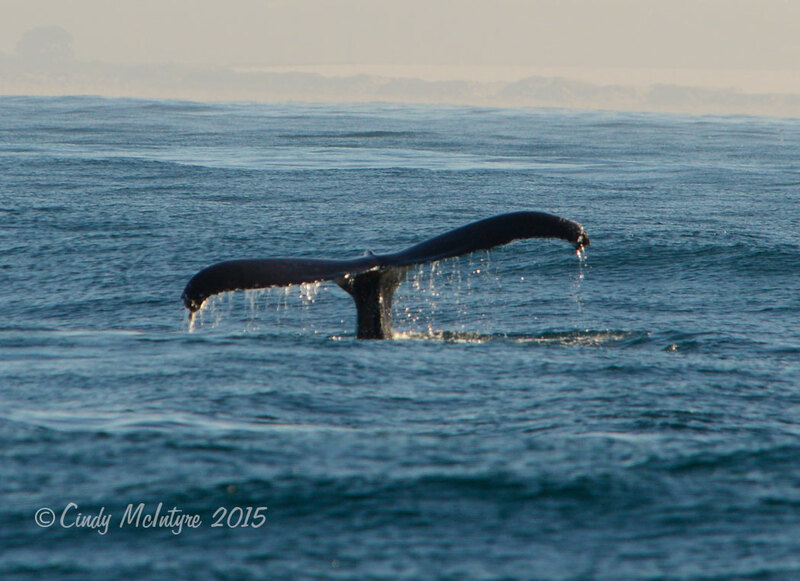 I adore whales, you pleased me so much with this fascinating post! Wonderful photos of an awesome experience.